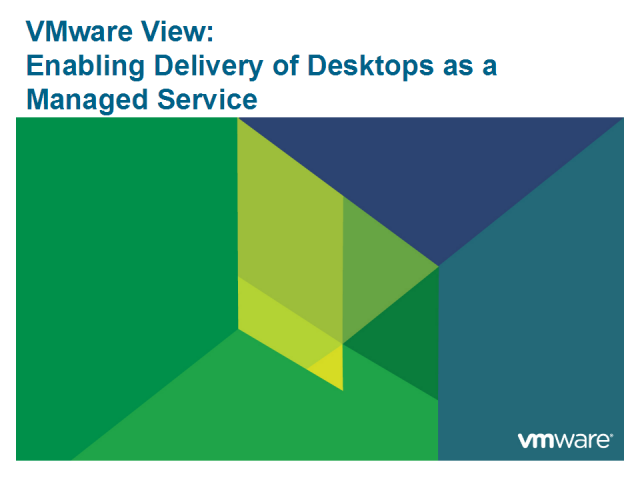 VMware View 4 enables enterprises to adopt a desktop as a managed service model. This increases the efficiency of provisioning and managing thousands of users and significantly enhances security compliance and risk mitigation while optimizing desktop availability. Learn how Affiliated Computer Services (ACS) is using VMware View to simplify and automate desktop and application management. With the help of VMware View, ACS is reducing desktop total cost of ownership for its customers, improving data security and enhancing flexibility and productivity across multiple end-user platforms and devices.